Eight people, including a U.S. citizen, have been badly injured after a stolen car ran into a bus stop in Moscow and drove off. The Chevrolet Lanos was later discovered but the driver had fled. The search for the perpetrator is underway. 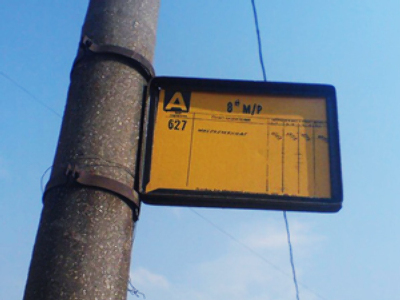 On Tuesday morning, the Chevrolet’s owner – a 58-year-old taxi driver – picked up a passenger who asked to take him to a church in western Moscow, website Life.ru writes. When the taxi stopped, the “tall man in his forties” threatening the driver with a knife, kicked him out of the vehicle, and drove off at breakneck speed. A few moments later, the car hit 16 people at a pedestrian crossing near Moscow State University, MGU, and then ran into a bus stop. The majority of those injured are students. Several people have got minor injuries and eight others have been hospitalized. Among them is a 56-year-old woman – a professor of Columbian University – who was on her way to MGU to give a lecture. The Chevrolet was later found abandoned by a fence on MGU campus. 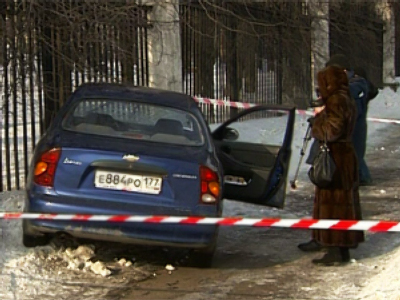 Meanwhile, a Moscow police source claims the car’s owner could be responsible for the incident, Russia’s Interfax news agency reports. The man was impaired by drugs when he reported his car was stolen and investigators suggest he could have made up the entire hijacking story to escape punishment. Investigators have additional doubts about his testimony as he repeatedly changed words and continually offered new details. The man has been sent for a medical examination. DNA samples, which may prove or disprove the hijacking story, were also taken from the auto’s driver’s seat.